The Jamestown settlement was about to fail, but then it found a crop it could sell to the folks back home for supplies and food. The crop that saved Jamestown? Tobacco. Uploaded by hill.troy.k12.mi.us. What Sir Walter Raleigh and his Roanoke Island colonists failed to accomplish, the Jamestown settlers achieved: the first permanent English settlement in the New World. The first settlers arrived on Jamestown island on May 14, 1607, and though they endured hunger and disease and other hardships, they persevered. “Permanent” is somewhat misleading in this context, however. The settlement finally thrived once it based its economy on a profitable crop, tobacco. 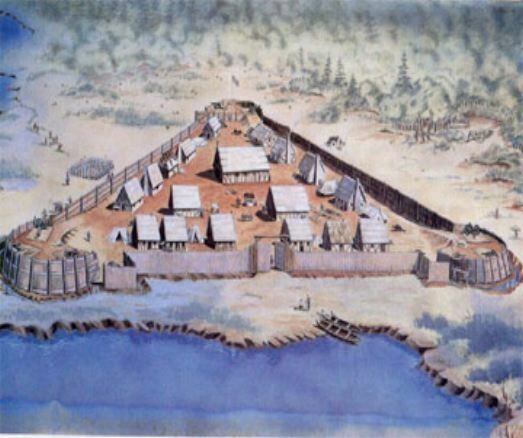 And Jamestown was the capital of the colony of Virginia until 1699, when it was moved to Williamsburg. 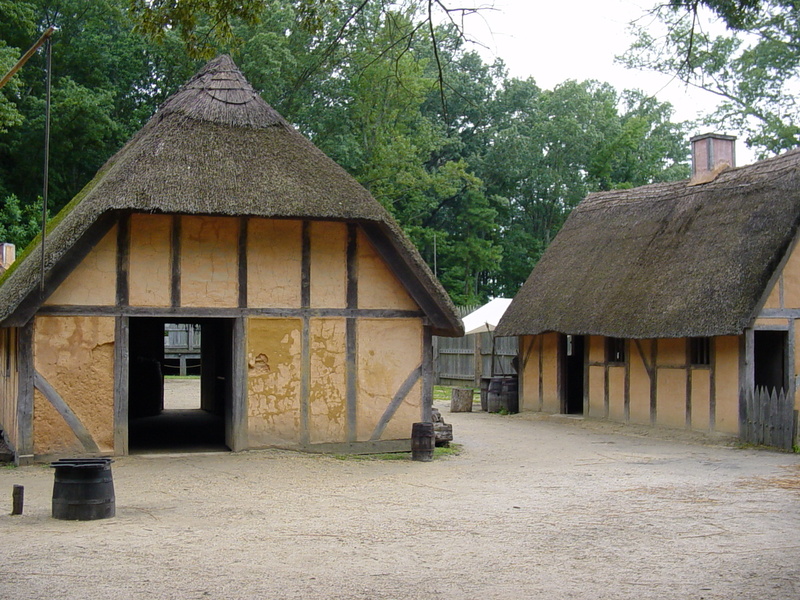 Following that, Jamestown actually consisted mostly of farms, and housed no actual village. Today, visitors to Jamestown can visit two historic exhibits, one operated by Virginia and one by the National Park Service. Jamestown Settlement grew out of Jamestown Festival Park, an exhibit created in 1957 to commemorate the 350th anniversary of the settlement. Nearby is Historic Jamestowne, which has focused on unearthing archaeological relics that help tell what life in 17th century Virginia was like. Most visitors to Jamestown stay in Williamsburg, which is connected to Jamestown by the historic Colonial Parkway – an enjoyable drive in itself.